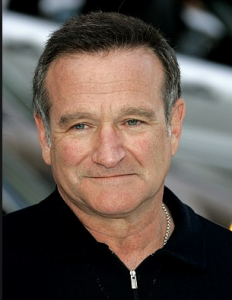 When I heard of Robin Williams’ sudden death from suicide, it was one of those moments of sheer disbelief and shock. I will miss his presence here on Earth! Robin Williams departed his earthly life on what was a 9 Personal Day for him. 9 in any cycle symbolizes endings and transition. In fact, on August 11, 2014, Williams’ personal code resonated to 7-8-9 … the final three single digits, symbolizing spirit, eternal life and unconditional love. If there is any consolation, it is that death is a gateway just like the number 11 – a gateway between two lives: the one a person leaves behind and the one that is awaiting him beyond. In death, the soul transfers from one body to another realm. This transformation, as embodied by the number 9, is the end of a journey and the continuation of an even greater one. With Robin Williams, we were graced with an actor and human being who was ultimately channeling something far greater than his script. He kept us riveted moment by moment by his complete dedication, kindness and joy. Williams special magic is weaved into his astro-numerology code. He was born on a 21/3 Day, which means he HAD to create and express himself somehow ALL the time! His full birthday, also called Life Purpose, adds up to 26/8 – a powerful number of leadership. Williams’ astrology birth chart is absolutely fascinating. His rising sign of Scorpio (going deeply into the watery realms of the subconscious) lies at 00 degrees. 0 is not a number – it is representative of everything and nothing, the endless circle, the alpha and omega – Zero represents the divine. A double 00 on his horizon at birth (called the Ascendant) is symbolic of seeing the world through the eyes of God. His Midheaven degree number resonated to 7 in the sign of Leo. The Midheaven in astrology governs your vocation. 7 symbolized Robin Williams' ability to channel sudden intuitive insights in an unexpected way, and the sign of Leo exuded his royal lion energy on stage. One other unique aspect in Williams’ birth code was that he had a huge amount of 10/1 energy. 10 is the “Instant Manifestation” number of Love and Light” representing the male and female, yin and yang. 10 reduces to the single digit number of 1 of original thought, determination and self reliance. Williams definitely embodied the ability to create and manifest instantaneously and with unbelievably rich originality. May Robin Williams rest, rejuvenate and continue to share his kindness, brilliance and wisdom eternally. Death ultimately is the beginning of a new life. To experience LIFE fully requires that you die to the past and take no thought for the future. To experience LOVE fully requires that you release all expectations and attachments. What is not a given is that you will live a life of Love. Between life and death, it is your responsibility to create and be fulfilled by LOVE. Loving is the whole point of living, the ultimate reason for being alive! May you create … and be the source of Love. Thank you, Tania. This is such a beautiful interpretation and will help us all understand the deeper meaning of the transition of this extraordinary being.